SKIING: an integral part of individual development is a key focus. 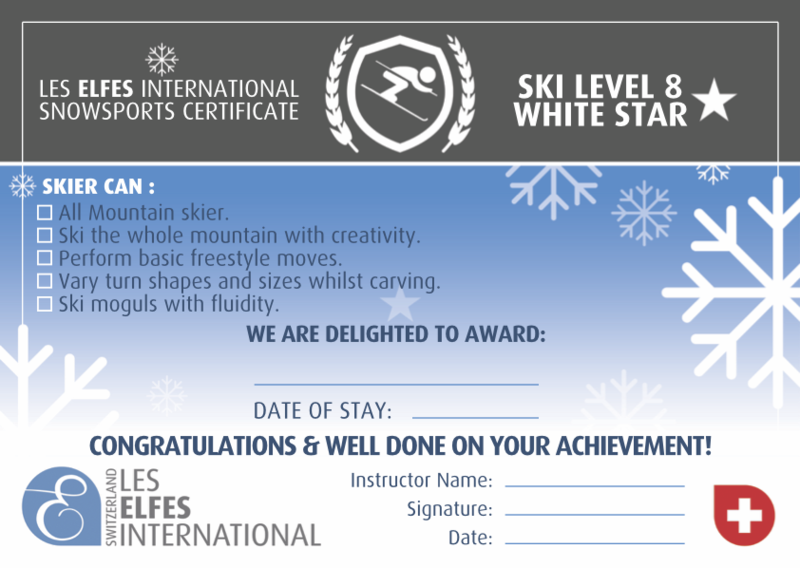 Whether a beginner or an advanced skier, the students progress in the sport from the level they are at. The participant receives Certificate for the Level Achieved ( there are 8 levels to be accomplished) signed by the Professional Instructor, and an individualised report if the participant has been outstanding. SNOWBOARDING: Participant can choose snowboarding as against skiing only if has achieved level 3 in skiing. All leading to that holistic enrichment which makes for a successful and confident individual. The Experiential Learning from the PDP programs is focused on the unlocking of innate potential within young people. These dynamic and interactive workshops will enable our students to develop a toolbox of teamwork skills which will help them to build mature lasting relationships with friends and colleagues, create imaginative and complex solutions to problems and focus on their emotional Intelligence using theories and practices from a range of academic scholars in the field of experiential learning. Our courses aim to equip our students to develop a deeper understanding of themselves and to apply that knowledge when leading others and preparing for the world of higher academics & work. In a world of high speed wifi, fast food and instant Uber cars to your door our young people today are becoming accustomed to instant results. If an internet page doesn’t open fast enough teenagers will close it and look for something new instead. This short-attention approach to life means often our young people of today are lacking perseverance when the going gets tough. This year we have combined our Leadership course with challenging outdoor experiences so our students can build determination, communications skills and resilience in difficult situations. Leadership can be an advanced and complicated topic for our younger campers but each year we are amazed with how well they apply themselves to our Leadership sessions and their mature solutions to the tasks presented to them. This year our focus is all about building real skills which can be applied in everyday situations, tangible leadership techniques to help our youngsters to get a head-start in the competitive world of leadership. Enjoy the exhilaration of gripping the handlebars of a mountain bike and learn how to charge down dirt paths, up steep hills and around challenging obstacles. This technical programme focuses on developing a range of mountain bike techniques on varied terrain. It is an intensive programme for our eldest students with each session building on the difficulty and intensity of the last to develop a confident and well-rounded technique. The course content will include: An introduction to fundamental bike skills, understanding equipment &amp; safety, developing a dynamic body position for riding &amp; leading others in the mountains. Art is a powerful mode of communication through which young ones explore a sense of self and develop and express an understanding of the world around them as they see it. In this program, via creative writing, art, theatre and photography the children are guided to a multi-medium of expression of their concept. What better time to start thinking about our relationship with the outdoors and our impact on the natural environment than through our Spring camps filled with adventurous outdoor experiences. Our new Eco Attitudes and Orienteering course is designed to teach students the value of our natural environment, how to navigate and survive using the resources available to them in the mountains and the impact our everyday habits have on the world we live in. Our impact on the environment and our relationships with the natural world have never been more relevant than they are now. In this hands-on club, students are posed a design challenge to create a structure with a purpose. The participants have a limited time to design their product, build it using the materials available and to deliver a pitch explaining why theirs is the best product for the task. It’s interactive, tactile and great for getting our younger campers working together to be creative. Continuing from the success of our journalism clubs in previous years The Press Room will include an overview of how big media companies structure their creative process to take abstract ideas and to develop incisive press articles. Participants choose 2 clubs and in over 3 sessions of each club, they work towards a given goal. excursions are offered to them. CHOICE OF SNOWBOARDING AS AGAINST SKIING: After achieving Level 3 in skiing, the participant may choose to start learning snowboarding.